DON'T MISS OUT ON LUXURY LIVING! FINAL TWO APARTMENTS AVAILABLE AND READY TO MOVE INTO! With luxurious and characterful homes including a Grade II listed barn conversion and sensitively refurbished buildings alongside new homes designed to be in keeping with the existing farmhouse and barn styles, St Margaret’s Park will be a prestigious and exclusive address. Ranging from 1 & 2 bedroom apartments to 3, 5 & 6 bedroom houses, all of these homes will benefit from an exquisite specification and enjoy plentiful green space, including mature trees and hedgerows ensuring the development feels established as well as private, thanks to the gated access. The location couldn’t be better either. Bushey is well served for shops, restaurants and pubs but is also in close proximity to Watford and North London, for a larger array of choice. Further afield, great connections by road and rail make commuting to London easy, as is accessing the rest of the country via the M1 and beyond. St Margaret’s Park offers a private sanctuary within touching distance of a cosmopolitan lifestyle. Positioned just over a mile from the centre of town, St Margaret’s Park offers its residents the perfect pace of life. The charming High Street has an exclusive collection of superb restaurants and retailers, many of which are just a short distance from the development. 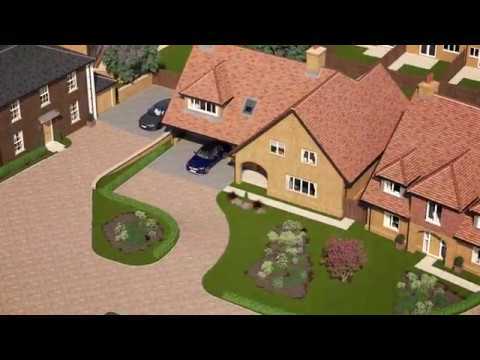 You will also find a wide choice in nearby Radlett and Watford. There is ample opportunity to keep fit in and around St Margaret’s Park. You will find an expanse of greenery on your doorstep, which you can use for outdoor pursuits such as walking and cycling, and there are a variety of health and fitness studios nearby. Whether you want to partake in a round of golf, stretch out with a yoga session or pamper yourself with a spa treatment, you will have everything you need here. St Margaret’s Park is ideally situated near to a number of excellent educational establishments that cater to a variety of ages. With an outstanding collection of primary schools, secondary schools and sixth form colleges within easy reach, this is the perfect destination for young and mature families alike. St Margaret’s Park benefits from a wonderful location and incredible connections. The High Street is a 20-minute walk away and there are a number of walking and cycling routes surrounding the development. The M1 is easily accessible at junction 5 north of Watford, the M25 is seven miles away and there are bus stops on the nearby A411, which provide services to Watford, Brent Cross and South Harrow. Commuting is also made simple, with Bushey station justover a mile away, where you can take a train to London Euston. With a change at Watford Junction, you can also reach large towns and cities including Milton Keynes, Coventry and Birmingham. For those looking to travel further afield, Luton Airport is just half an hour away and offers routes to a variety of exotic destinations. St Margaret’s Park, Crest Nicholson’s popular development in Bushey, has been shortlisted for the Considerate Constructor Scheme’s (CCS) National Site Award 2019. This prestigious shortlisting reflects the hard work and dedication from Crest Nicholson’s Chiltern division, with the awards only presented to the highest performing sites inspected by the CCS judging panel. Don’t miss out on the opportunity to secure the final home available at St Margaret’s Park, situated in the popular Hertfordshire town of Bushey. The final five-bedroom ‘Kensington’ house type is available to move into now at our St Margaret’s Park development in Bushey, offering homeowners an ideal living space to host family and friends all year round. At just 20-minutes from London Euston, the ‘Kensington’ offers residents the opportunity to enjoy a modern family home in a highly sought-after destination. There are just six properties available to purchase at award-winning developer Crest Nicholson’s popular St Margaret’s Park development in Bushey. The remaining properties on offer include the final two-bedroom apartments, and a selection of three and five-bedroom houses, all ideally suited to a variety of family needs and modern lifestyles. 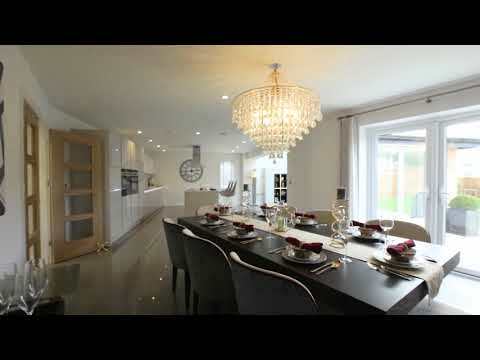 Come and see the progress for yourself at St Margaret’s Park, where a unique collection of houses and apartments await on the edge of the sought-after Hertfordshire town of Bushey. With just 26 homes within the development and many are ready to move into now, why not bring the entire family along to see the new homes available in this charming gated community. 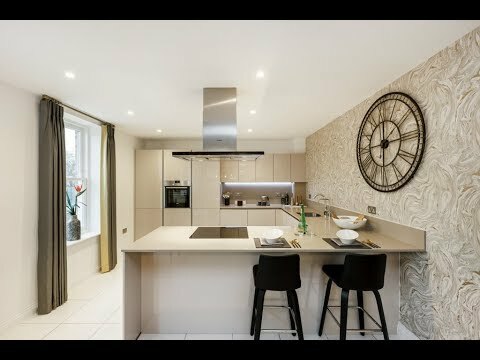 Find your dream home at St Margaret’s Park, a collection of houses and apartments situated in the popular town of Bushey, Hertfordshire. With many homes ready to move into now, your next move could be closer than you think!